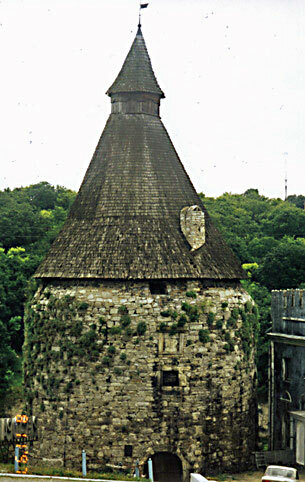 Here we see the tower from inside the city walls. It is more impressive when seen from the new bridge, as it stands so high above the river. The green trees in the background are on the other side of the river. This is 10 on the plan.